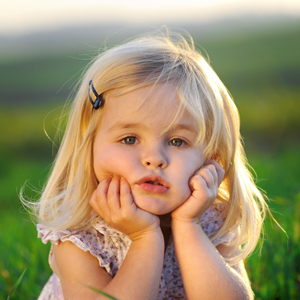 Anemia in kids occurs when the number of red blood cells, or RBCs, in the body becomes too low. It’s one of the most common blood disorders and can lead to other health problems. RBCs contain hemoglobin, which carry oxygen to the body’s tissues and organs, including the brain. The first symptom of anemia in kids is usually pale skin. You might also notice that his lips, nail beds and eyelid linings are less pink than before. However, since these changes happen over time, you might not easily notice them. Other signs of anemia include fatigue, irritability, dizziness, lightheadedness and a faster heartbeat. In some more severe cases, where destruction of RBCs is the cause, you might also notice a yellow tinge to his skin and the whites of his eyes, indicating jaundice. This might be accompanied by dark tea-colored urine and easy bleeding or bruising. Breast milk provides iron that can help with anemia, so breast feed infants. Give the child foods with plenty of iron, such as beans, almonds, and whole grain products. Give the child plenty of vitamin C to increase his or her ability to absorb the iron. Vitamin C rich foods include broccoli, green peppers, and citrus fruits. Give the child dried fruits, as they contain concentrated minerals such as iron. Especially have the child eat apricots, figs, and raisins. Older kids can also eat red meat, egg yolks, yellow and leafy green vegetables, tomatoes and potato skins. Cook food in a cast iron skillet to increase the iron content of foods, especially when cooking acid rich foods, such as tomatoes.